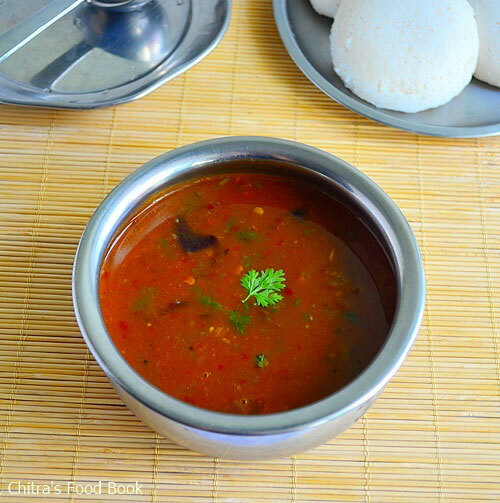 I learnt this sambar recipe from my sister’s MIL.When we visited her house,she made this sambar for idli.It tasted excellent.We loved it very much.The combination of brinjal/Kathirikai and tomato/Thakkali was awesome.Sendhil hates brinjal but still he never complains if I make this sambar for idli.Nowadays I prepare this sambar for idli, dosa regularly.It’s a very easy side dish recipe to make in busy mornings as it has no dal.Lets see how to prepare this simple and yummy tomato brinjal sambar for breakfast/dinner! Wash and chop the brinjals.Keep it immersed in water.Wash and chop the tomatoes,small onions and set aside. In a pressure cooker,take the chopped brinjals,tomatoes and red chillies. Add the required salt and water.Cook in high flame for 3 whistles.Open the cooker when the after the steam is released. Mash it well using a ladle/whisk OR grind the mixture to a smooth paste.Set aside. Heat oil in a kadai.Splutter mustard seeds,urad dal,chana dal,hing and curry leaves.Saute the onions till transparent.Then add the mashed brinjal,tomato paste along with some water.Mix well and check for salt and spice levels.Add more red chilli powder if u want spicy taste. Allow the sambar to boil for sometime.It will thicken slightly.Lastly add the coriander leaves.Give a boil and switch off the flame.Serve hot with idli,dosa drizzled with a tsp of sesame oil/Gingely oil.Tastes yumm ! NB:If you love brinjals,you can add equal quantity of brinjal and tomato.I added less brinjals and more tomatoes as per my family’s taste. 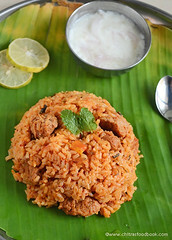 I am a brinjal lover and Vj is same like sen.. But sur eI am gonna try this:) sounds yummy!! 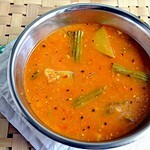 Lovely sambar for idlis...lookz delicious! Nice new recipe! Never new tomato has so much too it! I liked the one which said cloves and sugar with tomatos cure avarice!!! wow! i love this combo! I am a huge tomato fan and this dish looks very good! 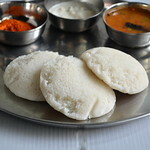 I love sambar and idlies, just the thought makes me drool. 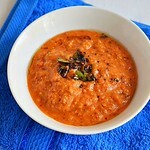 Yummy sambar....recipe sounds great...i love brinjals. lovely sambar. 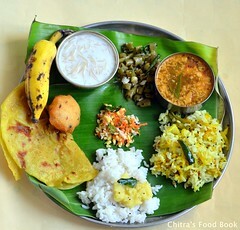 looks great... nice one chithra. 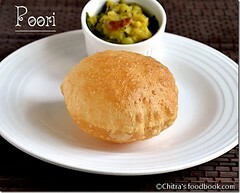 lovely recipe without dhal. unique but yummy. 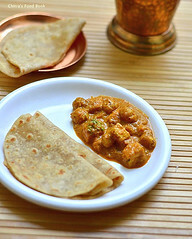 i especially love those sambars made for idlis and dosas..they are so much easier to make and so tasty too!! im surprised there is no dal though! 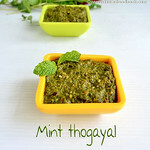 This must have been so good with idli! Sambar idli perfect combination..looking yumm chitra..
Looks so good Chitra! Yummy! 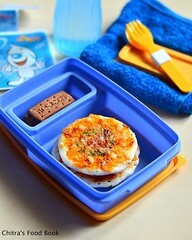 Wow.. delicious recipe! Nice entry! Liked the sambhar recipe. No tuvar dal and coconut. 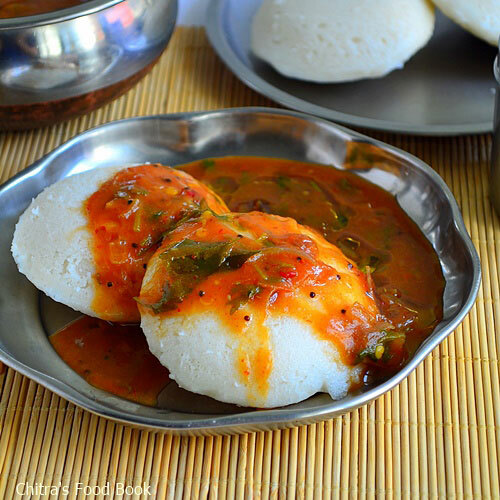 Would like to soak those mini idlis in a bowl of this sambhar. shall try it soon. 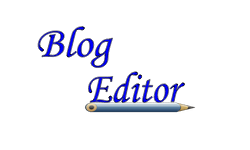 Check my blog, i have something for u CHitra..